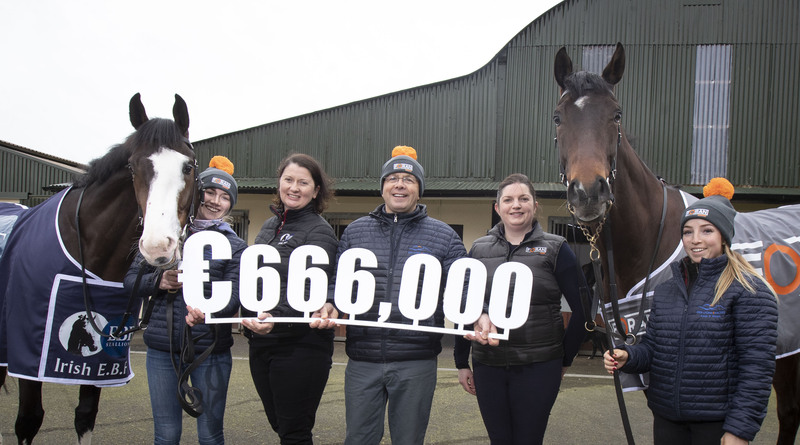 The Irish EBF and Foran Equine have launched the 2019 Foran Equine Irish EBF Auction Series with two additional qualifying races, a further prize-money boost and a new €30,000 nursery handicap to take place the week after the €120,000 final. Total prize-money for the series has jumped to €666,000 and the number of qualifying races to 24. The two additional maiden races will cater for horses bought for €30,000 or less and the €30,000 nursery handicap will offer qualified runners the opportunity to race over a shorter distance at Navan racecourse after the series final has taken place. Now in its fifth year the Auction Series has established itself as a principle target for two-year-olds bought at auction for €72,000 or less. Last year’s final winner Cedars Of Lebanon cost €11,000 and giving her owners an eight-fold return on her purchase price from prize-money earned in the series alone. Each of the 24 qualifying races will have a minimum prize-fund of €20,000 as well as the added benefit of being Plus 10 registered, whereby qualified winners will be eligible for a bonus of €12,500 giving a winning owner a potential pay-out of just under €25,000. Horses must also be by an EBF registered sire to qualify. The first race will take place at Naas Racecourse on Saturday April 13 with the €120,000 final to be held at Naas Racecourse on October 20.